VMworld 2018 in Las Vegas came to a close just a few short weeks ago, but the impact from the slew of cloud-related announcements from VMware and its partners continues to reverberate. After multiple changes in course over the past 10 years as VMware reacted to the shift toward cloud computing, the vendor has found a strategy that works. VMworld 2018 showed the software giant is doubling down on its partnerships with leading cloud providers and addressing customers’ cloud management pain points. 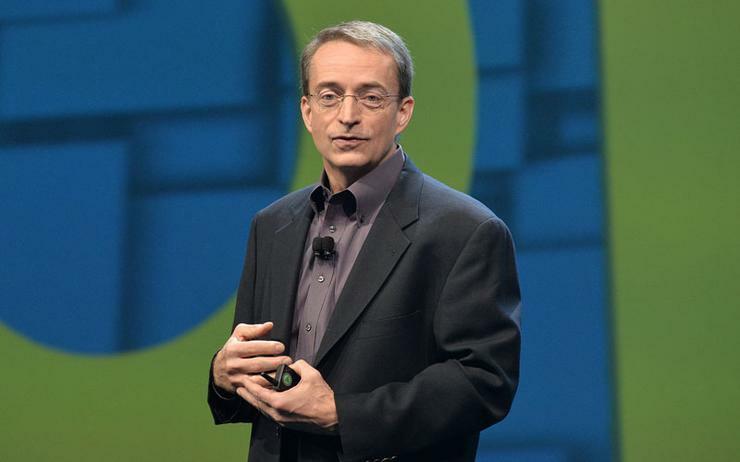 To extend relevance in the cloud management space, VMware announced both an acquisition and a host of organic portfolio updates during the conference. Notably, the intent to acquire CloudHealth Technologies to further its multi-cloud management and operations capabilities with CloudHealth’s platform and expertise in Microsoft, Google and Amazon Web Services (AWS) clouds. Portfolio updates were announced across the vendor’s Workspace ONE, VMware Edge, vRealize, vSAN, vSphere, VMware Cloud Foundation and vCloud Director portfolios. Additionally, partner program enhancements through the VMware Cloud Provider Program and announcements with key partners AWS and IBM in regard to partner-based cloud solutions were rolled out. While the portfolio updates are notable, much of VMware’s relevance in the cloud space as of late is coming from its alliances and partnerships. It took the shutdown of VMware’s own vCloud Air service, but the vendor’s partner-led cloud strategy reinforces the value of VMware in cloud and hybrid environments. VMware’s alliance with IBM is a decades-long, increasingly strategic partnership that now spans customers’ and cloud data centres as the two companies work together to help enterprises modernise their traditional and virtual environments into truly hybrid environments. VMware and IBM look to optimise customers’ existing IT assets with strategic cloud workloads and functions as well as the help of thousands of VMware specialists within IBM Services. Additionally, their tenured relationship turned even more strategic in 2016 as IBM helped VMware re-enter the public cloud market with IBM Cloud for VMware Solutions. At the conference, the two announced vCloud Availability for vCloud Director on IBM Cloud, a disaster recovery solution for multi-tenant environments that enables IBM Cloud to serve as a failover for workloads on VMware environments. After the successful migration of a few key legacy applications to VMware HCX on IBM Cloud for American Airlines in recent months, IBM and VMware also unveiled JumpStart enhancements to help customers migrate their existing on-premises VMware workloads to IBM Cloud. VMware’s partnership with AWS is very well known, in large part due to the number of customers using technologies from each of the two vendors and because of both companies’ former reluctance to address new delivery methods. VMware was very much on-premises focused while AWS was solely public-cloud focused, making the partnership and VMware Cloud on AWS a notable shift for both vendors. At VMworld 2018, the two companies announced the expansion of their relationship. Specifically, this included the global extension of VMware Cloud on AWS into Australia, a Cloud Provider Hub that allows partners to offer VMware Cloud on AWS as a managed service, AWS Relational Database Service on VMware, NSX integrations, price reductions, Log Intelligence for VMware Cloud on AWS, Instant Data Centre Evacuation and more. While much of the focus as of late in terms of VMware Cloud partner developments has been on AWS, VMware’s partnership with IBM has existed for a longer period of time and encompasses more than IBM Cloud for VMware Solutions. Therefore, the bulk of the integrations are well established and the two announce new features, integrations and functionality as their portfolios evolve. To note, back in August 2016, VMware announced that IBM would provide the first service offering for VMware Cloud Foundation and also train more than 4,000 services professionals with expertise around VMware solutions. In line with market trends, VMware is partnering with as many leading vendors in their respective technology markets as possible, ultimately to meet and exceed the demands from its customers for multivendor environments, integrations and interoperability across environments. Each of the aforementioned partnerships fits its own customer set, albeit with slight overlap, and addresses specific customer pain points. VMware and AWS are poised to capitalise on mid-market and small enterprise opportunities, with an emphasis on cloud specifically. Meanwhile, VMware and IBM are poised to capitalise on opportunities in the midsize and large enterprise sectors, with a hybrid IT emphasis, optimising customers’ blends of cloud and legacy IT assets. While VMware’s partnerships with IBM and AWS may seem like six of one and half a dozen of the other, the differences themselves when looking at hybrid IT as a whole rather than cloud only, where IBM and VMware naturally have a longer, more strategic relationship that encompasses virtual and cloud environments spanning customer and vendor data centres. To make this a little easier to digest, we’ve developed a table that includes some key solutions recently announced by VMware and AWS and compares them to existing and new IBM and VMware solutions in regard to how customer pain points can be addressed. While the technical functions available from both VMware partners are aligned, many of the target customers will be different. It is our perception that the VMware and AWS partnership better suits organisations that embrace public cloud, whether for budgetary reasons, risk sharing or lack of IT staff. Alternatively, IBM is the partner of choice for IBM and VMware large enterprise customers. Joint IBM and VMware solutions are tailor-made for organisations with large on-premises data centres that remain fully functional and thus are not yet ready to be shut down in favour of public cloud only, serving instead as a blend between the old and new.